Johnny Depp has broken his silence about his controversial casting in Fantastic Beasts: The Crimes of Grindelwald. Depp has been off in his world for quite some time now, which has led to some very public controversies. The actor has been accused of domestic violence by his ex-wife Amber Heard, which has not sat well with Harry Potter fans. The fact that the production and J.K. Rowling kept him in the film has left many fans with a feeling of disappointment. 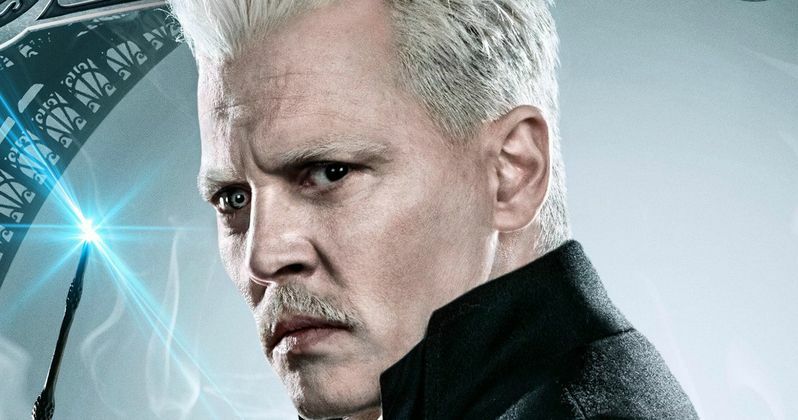 When asked about the controversy surrounding his casting in Fantastic Beasts: The Crimes of Grindelwald, Johnny Depp did not sidestep the question and answered it. The question came at the end of the interview where he spoke about the intricacies of his character and how well he knew the Harry Potter franchise before signing on. Depp had this to say when asked about the backlash around his casting in the sequel. "I'll be honest with you, I felt bad for J.K. having to field all these various feelings from people out there. I felt bad that she had to take that. But ultimately, there is real controversy. The fact remains I was falsely accused, which is why I'm suing the Sun newspaper for defamation for repeating false accusations. J.K. has seen the evidence and therefore knows I was falsely accused, and that's why she has publicly supported me. She doesn't take things lightly. She would not stand up if she didn't know the truth. So that's really it." Johnny Depp's denial of the domestic abuse claims and playing the part of the victim did not go over very well with Amber Heard's legal team. Her lawyers say that Depp is "shamefully continuing his psychological abuse of Ms. Heard." Additionally, they say that that the actress is trying to put the whole thing behind her. The two released a joint statement last year that insinuated that abuse had happened, but Heard and her team criticized J.K. Rowling and the production of cherry-picking the lines that fit their narrative. As for the cast of Fantastic Beasts: The Crimes of Grindelwald, they all had good things to say about working with Johnny Depp when the controversy was going on. One cast member said that he was only "sweet and professional," while another member was blown away by his ability to adlib and add personal touches to the character on the fly. J.K. Rowling also stands by her original stance and is very happy with what Depp has contributed to the sequel. Fantastic Beasts: The Crimes of Grindelwald is set to hit theaters next month, and many are wondering how it will do at the box office, mainly for keeping Johnny Depp on board. That remains to be seen, but Depp lives in a world of his own, as evidenced by a recent interview where he talked about wanting to make a Titanic remake in his bathtub with a straight face. Whatever the case may be, he's already signed on for Fantastic Beasts 3. You can read the entire interview with Johnny Depp over at Entertainment Weekly.